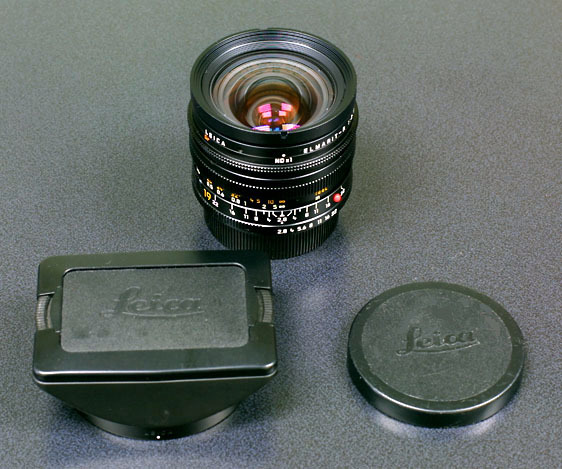 This lens is the answer to the question regarding the thoughts of Leica's view of wide angle lens. 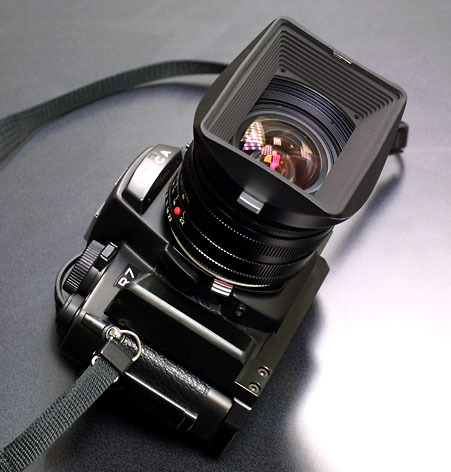 In fact, its predecessor Type I could not replace the position of Schneider's Super-Angulon-R 21mm/f4 in its contrast as well as distortion. 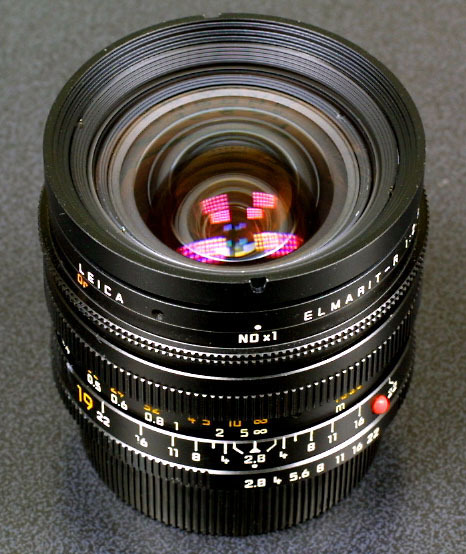 Increased number of lenses from 9 elements in 7 group to 12 elements in 10 group expressed Leica's challenge towards wide angle lens. Modern construction, resolution at the centre is superb, however it somewhat suffers from noticeable fall-off at the corner. High contrast is one of the characteristic of this lense. For the best performance, aperture shall be set 2-step down. Built-in filters of ×1 ND, Y, G, Or, Bl(for conversion from tungsten light). The out-fit. Mine are well-used so that the caps are so-so damaged. The hood is well constructed and fits to the lense firmly. This is a hidden element of the lense. 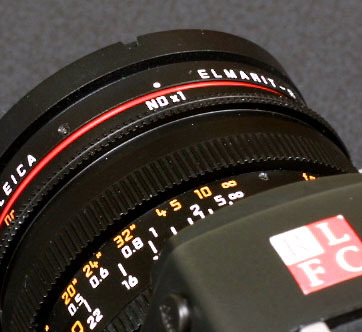 You see the red-line which reminds us a Canon FD L lenses. This line is only visible when changing the internal filter. Nearest focus go down to 30cm compared with Super-Angulon-R's 20cm.